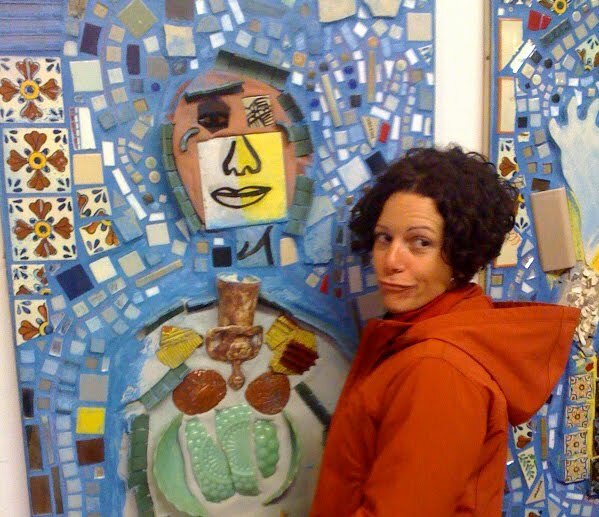 I just did a whirlwind trip to Philly to see Cirque du Soleil. Absolutely amazing show, if you ever have the chance to catch a show...do it! You won't be disappointed. 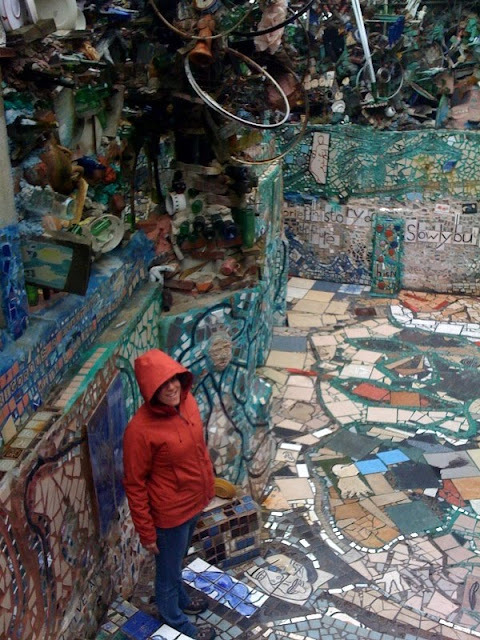 But before seeing the show my friend Lauren and I bopped around the city in the cold rain, had lunch and went to the Philadelphia Magic Gardens. And boy are they magical! Walking through the maze and the building your eyes never stop scanning and trying to take it all in. At times it feels a bit overwhelming and then you spot this message on the wall and you gasp. 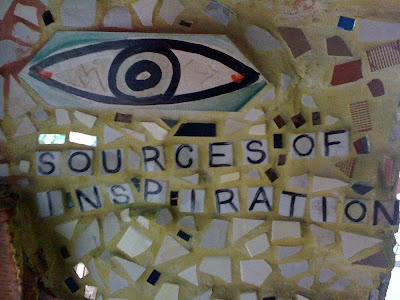 Yes, inspiration will find you when you didn't know you were looking for it. Amazing garden paired with an amazing show. Philly I'll be back to see you again. Fun! I'll have to check it out when I go in December. 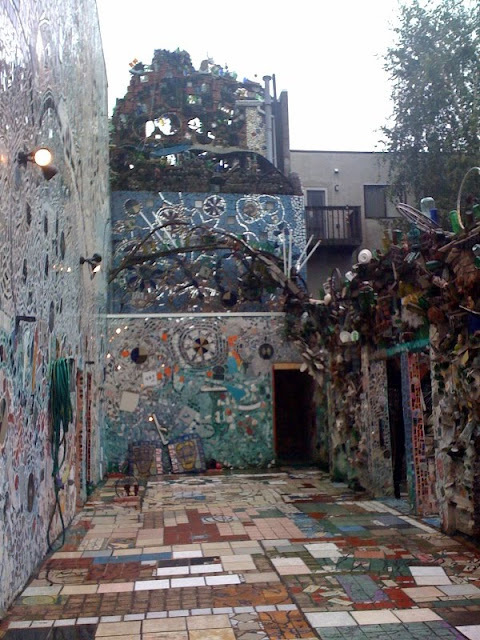 We go to Philly a few times every year to visit Joel's sister, brother-in-law and kids, I can't wait to go to the Magic Gardens! Love the blog by the way. Loves it!